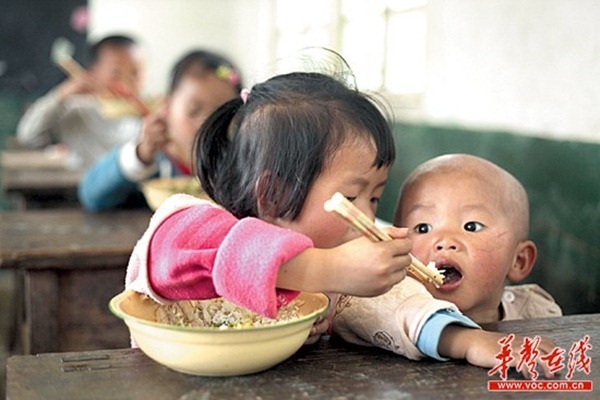 “We hope that this program would be sustainable and also growing instead of short-lived happiness” said a reporter from San Xiang City, urging more attention to the “Free Lunch Program”. 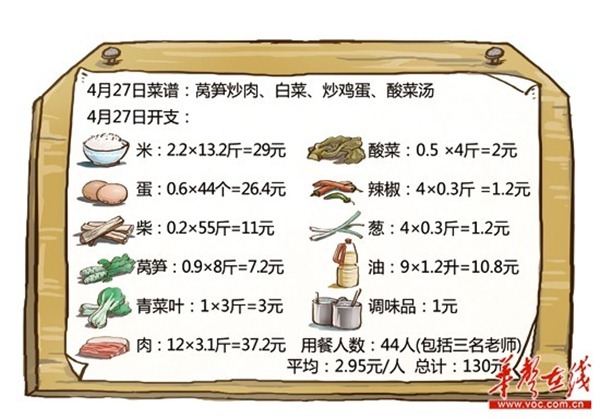 “When we go to some poor rural areas, we’d better ‘carry an extra kilogram’” A netizen wrote in his mini-blog. 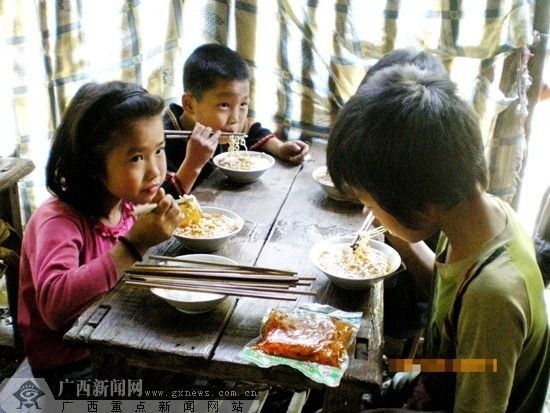 Deep in the mountainous south-west Hunan province, a simple lunch for children has perplexed villagers who live there generation after generation. Only in 13 days, from investigating the school to building a canteen, materials purchasing to cooking, everyone is busy for children’s free lunch. After lunch, we feel the heavy responsibility on our shoulders and difficulty ahead of us because of the students’ question whether they will have it tomorrow. 10-year-old Yang Zizhou woke up as the rooster sang outside the window, stretching herself and washing her face with cold water. Under the dim light from the holes on the roof, she walked to the kitchen to prepare the meal. After half an hour, her 5-year-old brother was awakened for breakfast. “Salted vegetables and cabbages again!! !” He blurted out. Though disappointed, he drank the fresh water prepared by his sister and began to relish the simple meal. Most of the time, they are starving till noon, sometimes with pieces of sweet potatoes. There is a popular ballad in the village, singing “Never marry your daughter to Dapingpo village. Wheat gruel in the morning, common vetch at night.” Poverty and sadness expressed, it is the true image of the local condition. 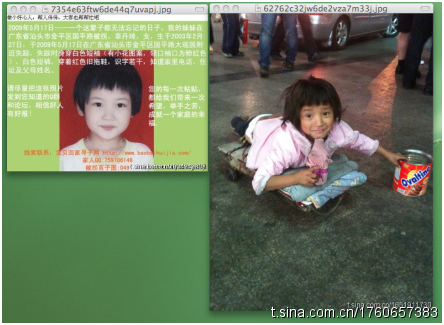 This year Peng Yi is 5 years old. His father went to work in urban area. His only choice is to live with his grandparents. 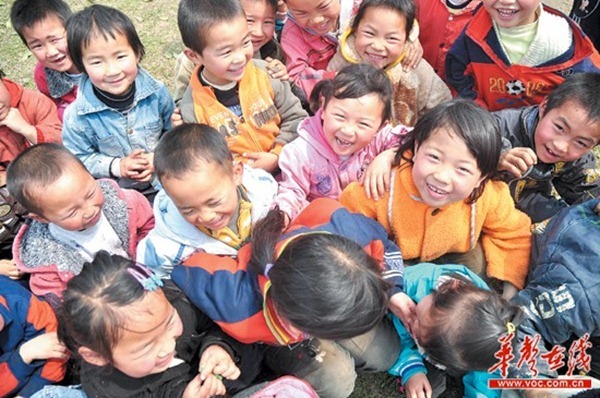 Peng Yuxia, a teacher at the primary school, told the reporter that there are many similar cases in this village. According to her statistics, 80% of the children at school are left-behind, among which a quarter are from single parent families. 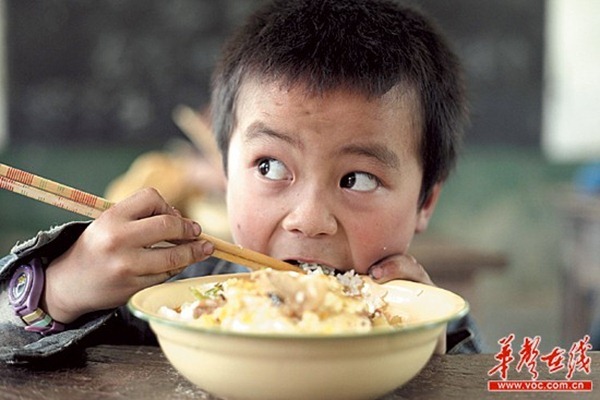 Peng Yuxia also indicated that the long way to school from their homes is another reason for no lunch. At least 20 students of the 41 have to walk on the mountain road for more than an hour to school. Their homes scatter around the mountains. Students embraced the bell at 12 as usual. But today, instead of running out to the playground, they were waiting for an abundant meal led by the teachers. 41 children, handing the bowls they got just now, were lining up. 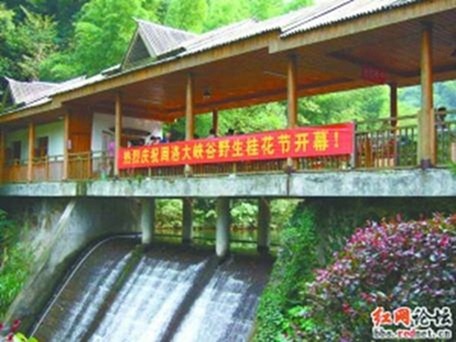 Yang Zizhou stared at the free lunch with great surprise. They got their meal not having waited for long. The children of preschool class sat in a line on the steps in front of the classroom, looking around while eating and those first second graders and were carrying their new bowls, chatting with each other, enjoying their special lunch in the sun. All of them were occupied by surprise and curiosity upon this free lunch. 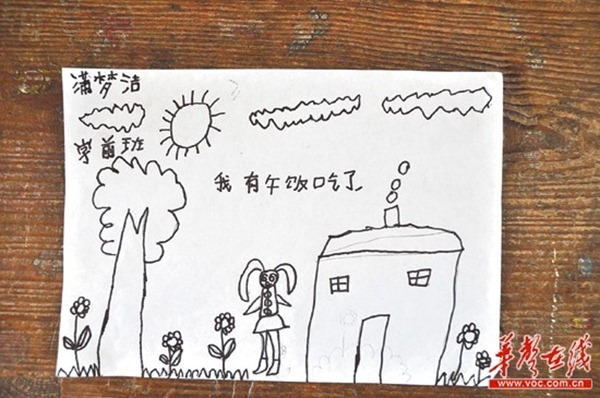 Preschool student Pu Mengjie drew a picture and gave to the staff of the free lunch program, “We have lunch now”. How sad. China brags about their vast annual growth of GDP. Boasts about their huge worldwide investments. States they’ll have a moonbase in 2020. Yet they need outsider donations to feed their children? 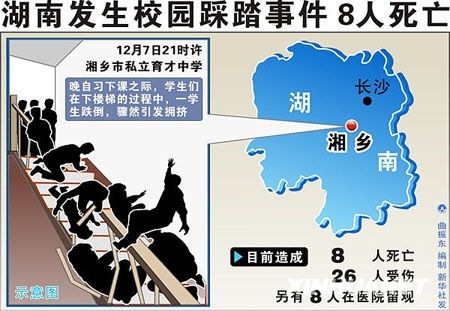 Pathetic how little value human life is to the money grubbing leaders of China. For all it’s money, China is still a 3rd rate Country. 1. Well, it’s all built on the backs of China’s poor. 2. The GDP is artificially inflated. Read the “fine print”. 3. China’s rich and powerful do invest internationally. For themselves. 4. Moonbase in 2020. LOL. Living in wonderland. 5. China is a 1st world country in some areas, a 2nd world country in others, and a 3rd world country in most of China. 6. It can’t continue to grow using China’s surplus population. IIRC 70% of China’s population is 35 years or older. The 1 child policy has wrecked it’s population ratios. Their economic model doesn’t seem sustainable. Gotta give them one thing though. The reason the country can grow like it does is that it doesn’t carry the burden of taking care of the people, especially the old. The US also has an unsustainable socialist model due to freebies for everyone, from medical care to education to food stamps to subsized housing, etc etc. 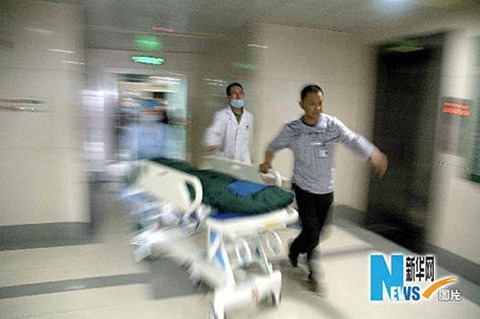 In China, if you can’t take care of yourself, you can die and no one but family will care. In the US, you can get the gov’t to flip the bill for almost everything, especially if you continue to have kids without declaring a father. Instead of posting dumb insulting remarks criticising the government which will absolutely have no effect, why don’t any of you actually donate something for the kids eh? Since you people assume the government is failing so much why don’t you show some generosity and correct the negligence of the government, by donating to the above mentioned address. The question is: How many RMB of donations actually benefits and how many RMB are embezzled? lol I think if Key on ChinaHush posted something like this then he’s pretty sure this is a legitimate charity organisation. Or is everyone so paranoid as not to donate anything? I wonder why does any western NGO still donate to Africa knowing the amount of corruption on the whole continent, does this constitute a reason not to donate? What the hell is this reasoning you people have…..
Don’t know what you all are talking about, there is free luch program here in Toronto, Canada either.